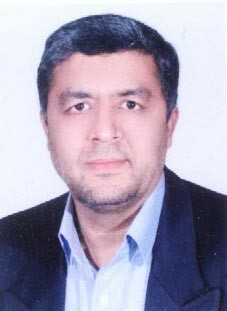 Dr.Abbas Safarnejad completed Bachelor of Science(1988) in Agronomy and plant breeding from University of Mashhad(Ferdowsi), Iran, Masters of Science(1992) in Genetics and Plant Breeding from Agricultural University of Godollo/Hungary and Ph.D in Biotechnology and Plant genetics from University of Liverpool, UK. He then joined has the head of Natural Resources Department (1996-2004), then has a faculty member of Razavi Khorasan Agricultural and Natural Resources Research Center (2004-2011), then has the organizer of Agricultural Biotechnology Management (2011-2016) and currently he is Associate Professor of Khorasan Razavi Agricultural and Natural Resources Research Center. He was awarded has top researcher of Khorasan Natural Resources and Livestock Research Center (2001), Khorasan Jehad-Sazandgi organization (2002), Khorasan Agricultural and Natural Resources Research Center (2003), Ferdowsi Symposium (2003), Research and Education Organization (2004). He has more than 50 publications in scientific research journal and has attended more than 50 conferences. Selection for resistance to stress, such as salt, drought and cold using in vitro and in vivo selection methods, Characterization of plant based on biochemical and molecular techniques, Role of secondary products in combating stress induced by environment, Secondary product synthesis and accumulation in cells, Micropropagation of plant using tissue culture technique.